​​​​The build-up and background to Super Bowl XXXVII couldn't have been written any better if Hollywood's finest scriptwriters were to dictate how events of the previous twelve months had transpired. 2001 ended with the Oakland Raiders exiting the playoffs on one of the most controversial plays in NFL history. 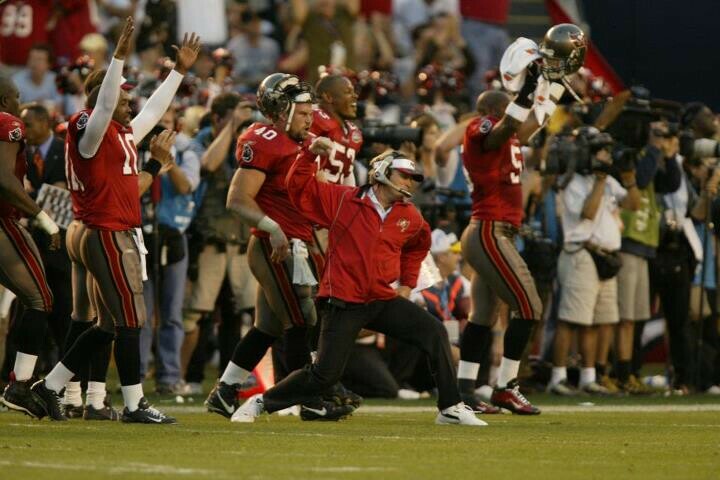 Only months later, head coach, Jon Gruden was traded to the Tampa Bay Buccaneers where he could ply his trade. In his place, Bill Callahan was hired. 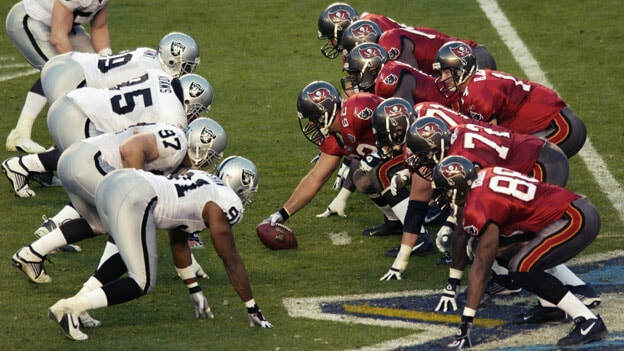 It must have had NFL headquarters salivating come the end of the 2002 playoffs when Gruden had guided his Buccaneers to Super Bowl XXXVII only to face his old team in the Oakland Raiders. It stood to reason that Gruden would know a lot about his old team, but it still surprised all how witnessed the game just how in front of the play the Buccaneers appeared to be. 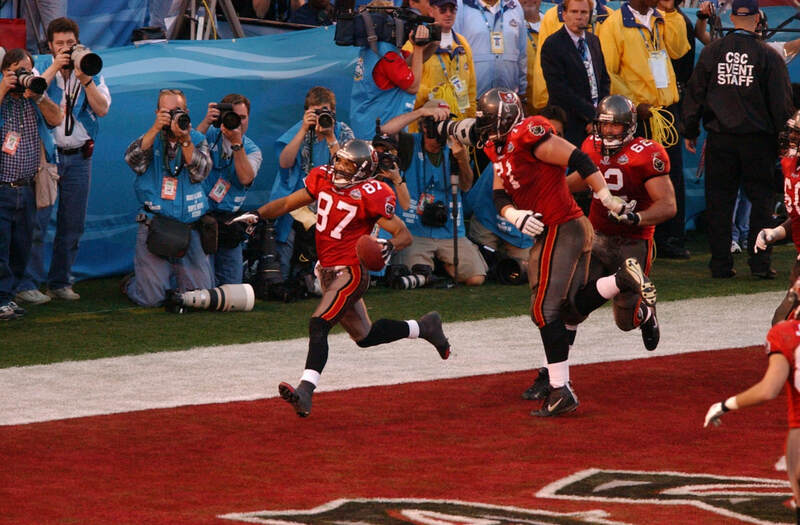 It was a slow-burn of a game to begin with, but once the Buccaneers scored, they began to dominate more assertively. By midway through the third quarter, they had a commanding 34-3 advantage. The Raiders did offer a brief comeback attempt, with three touchdowns (each ending with a failed two-point conversion attempt) pulling the Buccaneers to within reach at 34-21. However, consecutive interception returns for touchdowns sealed the victory at 48-21. 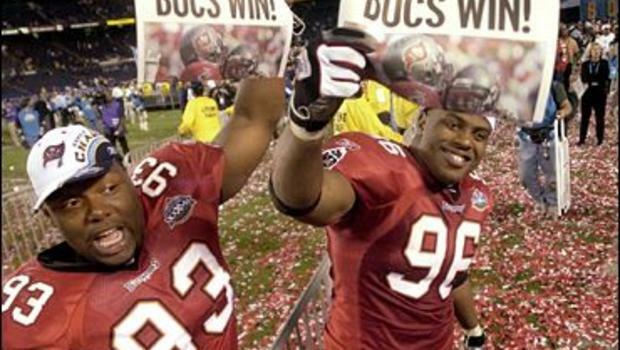 In what was an amazingly strong performance by the Tampa Bay defense, safety, Dexter Jackson was voted the game's MVP, mainly down to his two interceptions that came at key points in the contest. 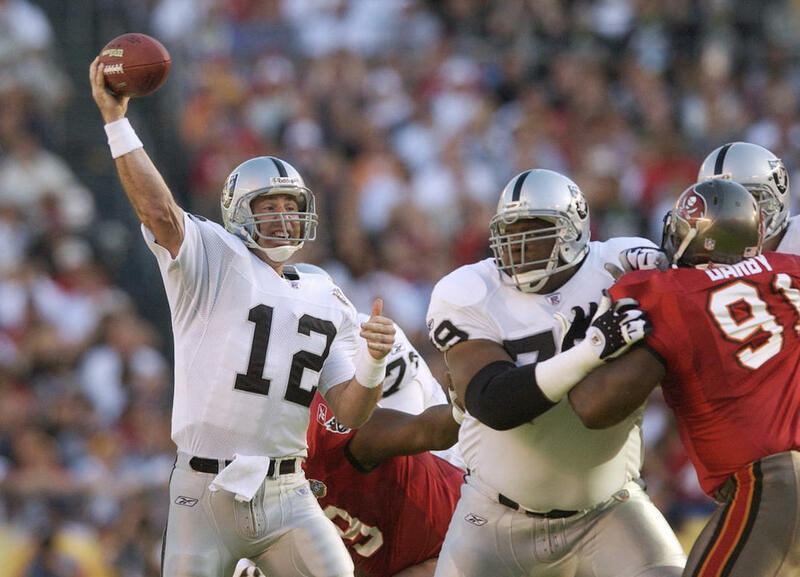 Super Bowl XXXVII had distractions in the Oakland Raiders' camp, when starting center, Barret Robbins went missing in the days leading up to the game. He had suffered an episode due to his bipolar, and was discovered in a San Diego hospital the night before the game. Consequently he wouldn't start against the Buccaneers. You can read more about the incident here.